Get to know New York's beloved hometown burger chain. Shake Shack is a New York institution. Beloved by locals and a must for any tourist, the fast-casual restaurant chain had its start in Madison Square Park in 2004. It's grown rapidly in the years since. Now, you can find a ShackBurger at 84 locations around the world. In 2015, the company become publicly traded. But there's so much more to know about Shake Shack. Here are some secrets that will make you a bigger Shack fan than ever before. 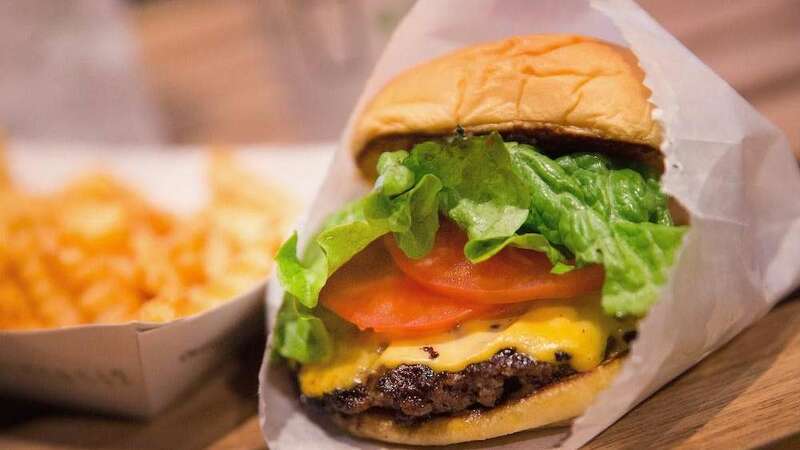 Shake Shack is known to have secret menu items. 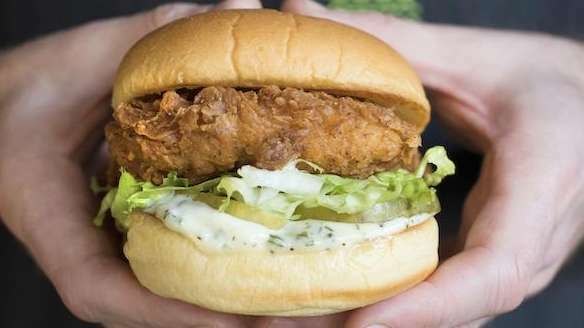 From constants like the BLT to the Garden Dog, pictured, to the ShackMeister burger (a cheeseburger topped with crispy shallots, which just left the menu in December), Shake Shack keeps its fans on their toes. 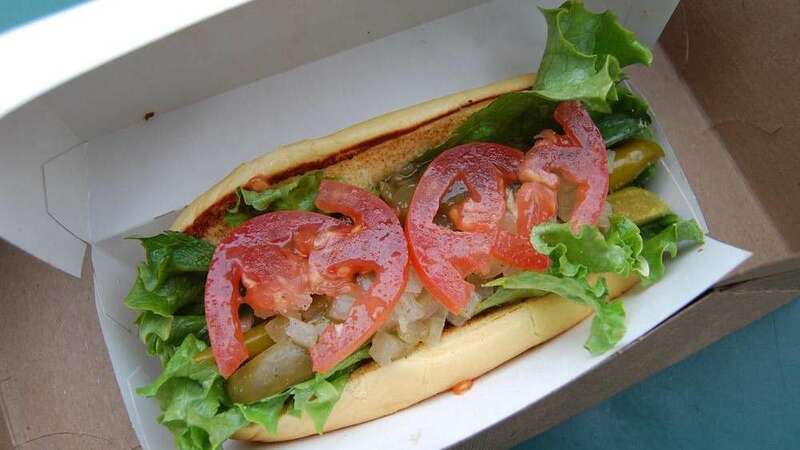 The Garden Dog ($2.25) is vegetarian: Martin's potato roll with Rick's Picks Shack relish, onion, cucumber, pickle, tomato, sport peppers typical for Chicago-style dogs, celery salt and mustard. 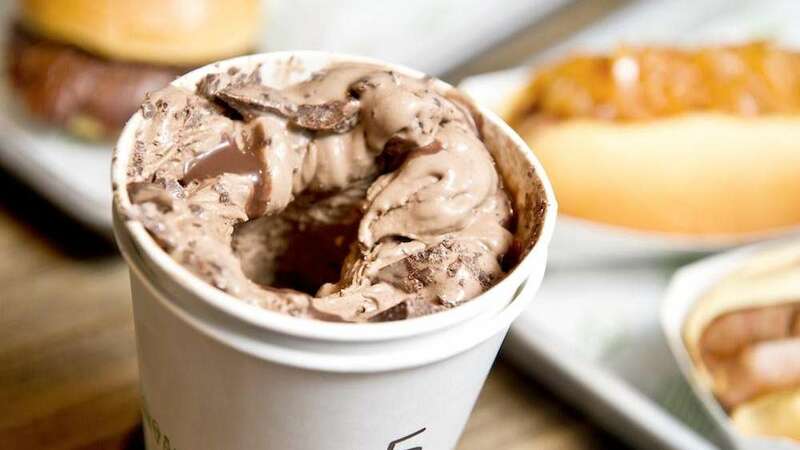 Shake Shack is known for its burgers, hot dogs and concretes (frozen custard desserts). When the idea to introduce a new category to the menu was conceived, the culinary team took its time. 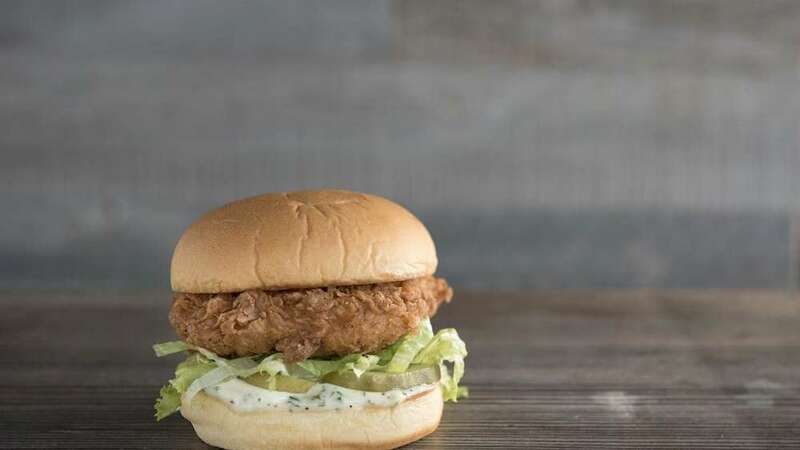 Culinary director Mark Rosati said his team tested dozens of different chicken sandwiches because they wanted to get the Chick'n Shack just right. "We were in no hurry," he said. "Adding a new item is a pretty big deal at Shake Shack." The culinary team began with grilled chicken, he said, and while everyone liked it, when he tested fried chicken, "people were freaking out about it." Rosati says moistness is the key to making fried chicken great. And so he played around. For example, he knew Chicago chef Grant Achatz used the sous-vide method, in which an ingredient is cooked in an airtight package in a water or steam bath, before breading and frying. So he tried it. "All the flavors became that much more flavorful and pronounced," he said. So are they using the sous-vide method to prepare each and every Chick'n Shack?! Absolutely not, Rosati said, adding that he wouldn't disclose just how Shake Shack makes the chicken, only that it's a "proprietary method" that slow cooks breasts in marinade. 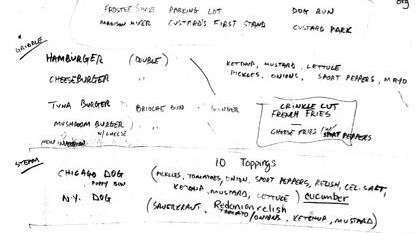 Danny Meyer's scribbled notes on a napkin reveal some early names for Shake Shack. According to Randy Garutti and Mark Rosati's book "Shake Shack Recipes and Stories," Meyer considered the following names before sticking with the one you know and love: Frostee Shake, Madison Mixer, Parking Lot, Custard's First Stand, Dog Run and Custard Park. It also contains many intriguing ideas that did not come to fruition, including a tuna burger and a brioche bun. But other early ideas were clearly winners. Crinkle-cut fries, for example, are a signature item of Shake Shack. Indeed, in 2013 when the brand began to phase out the crinkles in favor of fresh-cut fries, customers revolted and forced them to bring the crinkle fries back. Before there was Shake Shack, there was a hot dog cart. Danny Meyer conceived of it in 2001, as part of a public art installation in Madison Square Park called "I (heart) Taxi." 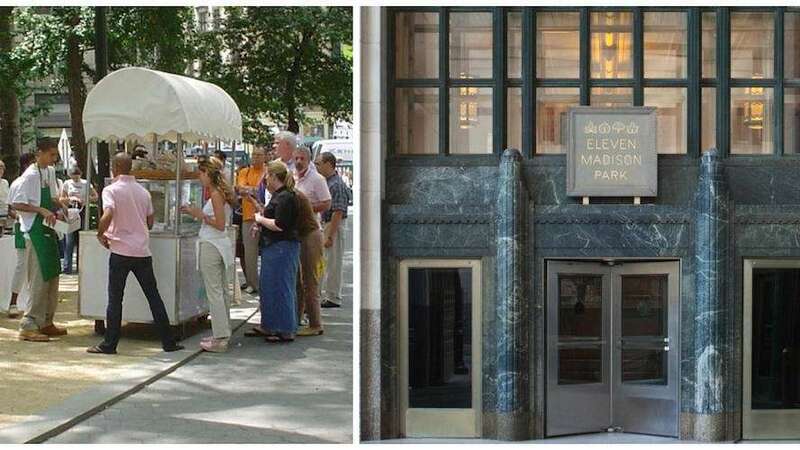 The cart sold Chicago-style hot dogs and a special Taxi Dog with homemade sauerkraut or tomato-simmered onions for three summers before Meyer put in a bid to operate a more permanent kiosk in the park. And Shake Shack was born. The food for the cart, and the first three years of Shake Shack, was prepared at nearby fine dining (and former Meyer) restaurant Eleven Madison Park. "Danny had this idea. He passionately wanted characteristics of a local, almost drive-up [spot]," said Kerry Heffernan, who was executive chef at Eleven Madison Park and is now the chef at the seasonal oyster and seafood restaurant on Grand Banks, a ship in the Hudson River. "The team [at Eleven Madison Park] would use their private dining kitchen to do all their prep work: blending ShackSauce, cut lettuce, tomato and pickles, etc.," Rosati said. 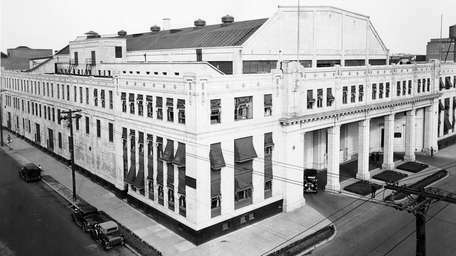 "They would have to push a trolley cart from Eleven Madison Park, across a busy street into a park ... then up a steep incline into the Shack. 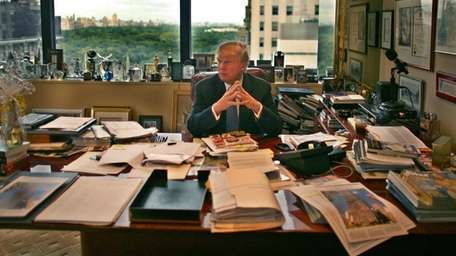 Often times, the team would have to do that repeatedly." "All the partners were in there, flipping burgers!" Heffernan said. Heffernan said Meyer thought the custard would be the big thing at Shake Shack, but the burger eclipsed it. "None of us had any idea the burger would take off," he said. "I was obviously not thinking about an ongoing business," Meyer told Fast Company. "It was never our vision that it would turn into more than one Shake Shack." While some details of how the ShackBurger is made (including how the patty is famously "smashed" on the griddle) are public, the big secret remains: What's in the ShackSauce? Here's what we know: It's mayo-based and it's addictive. The first Shake Shack is unique in that it does not offer customers indoor seating. In order to address that issue, the company installed heat lamps, and the lines form year-round. Even in snowstorms, the fans are there. 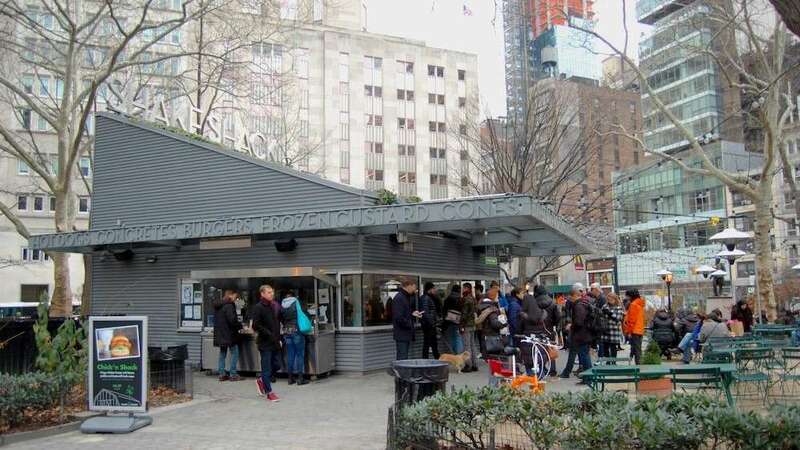 This Saturday, the second snowiest day ever on record in NYC, Shake Shack Madison Square Park was open until 2 p.m. And none other than Chelsea Clinton stopped by for a "treat." Rosati said they try and offer something special when customers brave the elements in the Shack line, often in the form of free hot chocolate. No word on whether Clinton got something free. When the original Madison Square Park Shake Shack was renovated in 2014-2015, a hidden underground basement office and prep area was added. "There's a historic river that runs under Madison Square Park," said Andrew McCaughan, vice president of development at Shake Shack. "It didn't impact us, [but] we're pretty confident it's there." 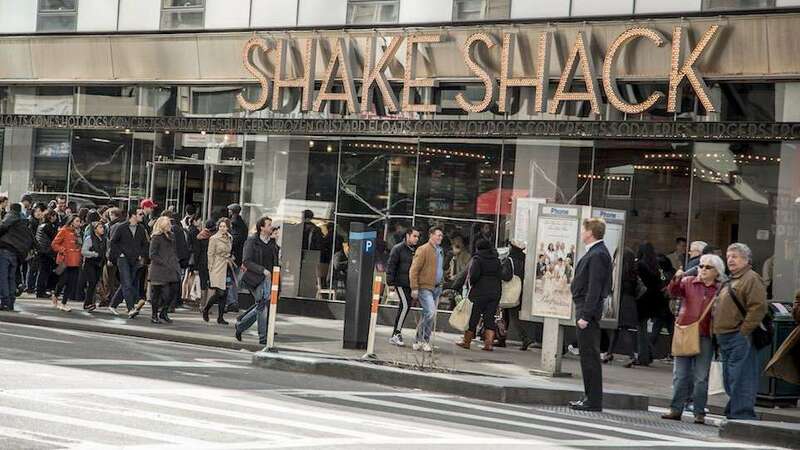 Every time a new Shake Shack is planned, the design team asks itself, "How does it fit into the community," McCaughan said. 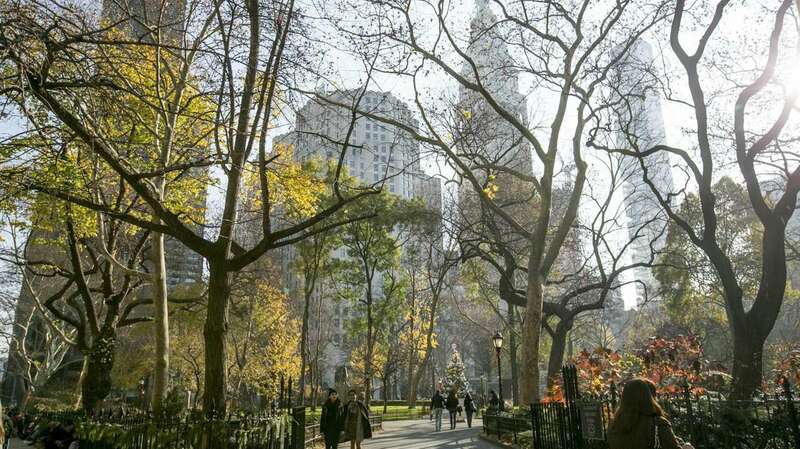 With the Madison Square Park location, the architects at SITE Environmental Design took into account the surrounding neighborhoods, including The Flatiron Building, the way Broadway intersects Fifth Avenue and the angles of the grid of Manhattan. The roof is also planted with ivy to give it a parklike feel, McCaughan said. In the Theater District, pictured, signage is different, with bulb lights that are reminiscent of a Broadway marquee. In DUMBO, the old building was restored in partnership with the Landmarks Commission and decorations are a reminder of the waterfront area's past. A fireplace adds Brooklyn-esque ambience. Shake Shack wants consistency at all its locations, except when it comes to its specialty concretes. Each Shack features a unique blended frozen custard that features a local ingredient or is tied in someway to the local community. Rosati spends a lot of time researching this. "We like to understand what the culinary scene is like," he said. 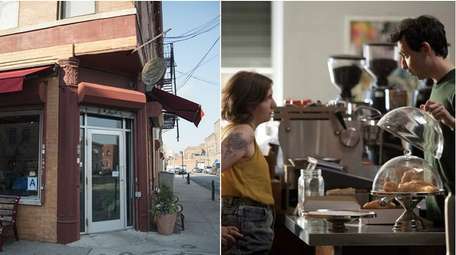 "The idea is to give each location a unique, specific feel. It says we really, really want to be a resident in each city we enter. There's something special about that." Pictured: Shake Shack Downtown Brooklyn's Fudge-eddaboutit Concrete, with chocolate custard, fudge sauce, Baked (a Red Hook bakery) chocolate cloud cookie and Mast Brothers Shake Shack dark chocolate chunks, topped with chocolate sprinkles.